Sometimes out with the old and in with the new isn’t the most up-to-trend motto to live by. 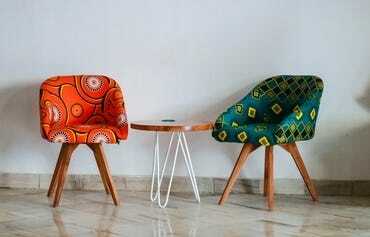 As antiques have proven, vintage items are décor essentials that are hard for others to replicate. Let’s take this up a notch and revisit design trends that you may have seen in the past but are making a strong comeback. 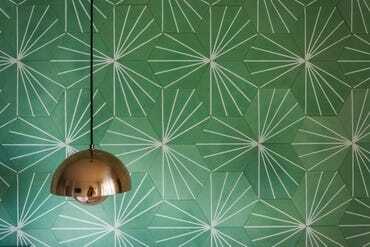 Wallpaper is something that you would shiver at the sight of if you entered a pure, untouched house from the ‘70s that is in serious need of an update. However, in the right room and decorated correctly, wallpaper is a trend that can add texture and patterns wall paint never could. Everyone knows of the black and white checkered floors. 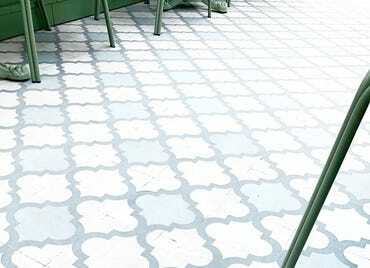 Well, additional to that, intricate pattern floors are back on the rise. It pairs well with sleek panel cabinetry or simple under cabinet lighting and provides a bold focal point that isn’t necessarily in your face, because well… it’s on the ground. Bright pumpkin oranges paired with subtle yellows or baby pinks aren’t simply stuck in the past. These bold pairings are seeing their way back, but thankfully not in excess. These colors are often seen with neutrals and minimalist furniture. With that said, these colors are seen in the form of an accent wall, chair, or carpet. 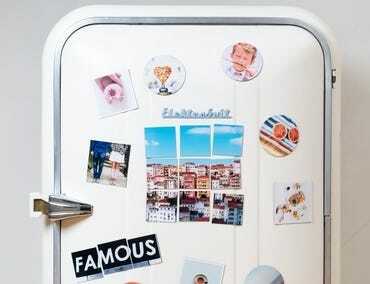 Who doesn’t love the look of an old-school refrigerator? While those don’t fit every kitchen in terms of color or style, a piece such as a clawfoot bathtub is something any bathroom can get away with. The added footing adds character and detail that can’t be found in a plain, modern tub. It never hurts to look back on the past for design inspiration. After all, it's what got us to discover some of the best modern design trends. Mixing a vintage look with upcoming trends creates a unique, transitional style that brings originality to any home. Longing for more design inspiration for your home? Read up on some kitchen design trends and the hottest trends for 2018!